On the outskirts of Belgrade, women from three generations of the Stijelja family gather around their kitchen table to pore over old photographs. They are Serbs from Croatia, and were part of a huge column of 200,000 refugees who fled into Bosnia and Serbia ahead of the advancing Croat military in August 1995. Operation Storm marked the end of the self-proclaimed Serb Republic of Krajina, where Serb rebels had staked out territory amounting to about a quarter of Croatia at the beginning of the break-up of Yugoslavia. In the days that followed Operation Storm, property was destroyed and atrocities committed against those Serbs who remained. The photographs the women hold are of the head of the family, Branko, and his son Mirko. Branko's wife, Sava, recounts what happened to them. "I was on a truck full of people when we heard a warplane fly over head, and then open fire. 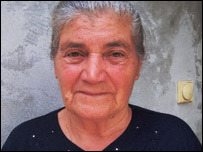 Mirko's wife, Vedrana, survived the journey to Serbia, but died days later during childbirth. Like most of the Serb refugees from Croatia, the Stijelja family have never felt able or willing to return. They survive on a small Serbian pension, and had to build the home they live in themselves. Sava wants Croatia to apologise for killing her husband and son, and to arrest the Croat General accused of war crimes during Operation Storm - Ante Gotovina. She also wants Serbia to give more help and support to the refugees in its midst. "Everybody in this neighbourhood is from Croatia,'' she says. "We help each other, but what can we do? I hope my grandchildren will find jobs and homes here. On Thursday, the Stijelja family joined several hundred people in a ceremony at a Belgrade church to remember those who died in the Krajina exodus. 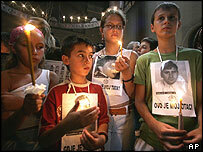 Relatives of the dead and missing also staged a silent protest outside the Croatian embassy. Serbian Prime Minister Vojislav Kostunica described Operation Storm as the biggest example of ethnic cleansing since World War II. But Croatia says Serbia is making too much of it - that there is no comparison with the genocide of 8,000 Muslims by Serbs at Srebrenica in the same year. Croatia will mark the anniversary with celebrations on Friday. Operation Storm - along with another offensive in eastern Croatia - was extremely effective. Within a matter of days they had restored the territorial integrity of Croatia and purged it of most of its Serb population. Since then the Croatian government has been criticized by the United Nations and the Organisation for Security and Co-operation in Europe (OSCE) for failing to do enough to facilitate the return of those refugees who want to go back to Croatia. Local courts have also made it difficult for Serbs to reclaim their property. Many refugees have simply sold their homes and taken citizenship in Serbia and Montenegro instead.